The success of your self-published book will ultimately be determined by your ability to rise above the competition and grab the attention of your potential buyers. And let’s face it—with all the books currently on the market, there are a lot of titles competing for your readers’ attention. 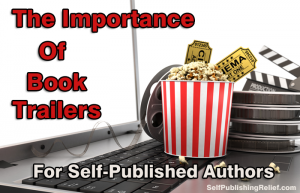 To stand out from the crowd, media-savvy authors are using book trailers to entice book buyers and build sales. Some writers may wonder if using video to sell the written word makes sense. Think of it this way: You’ve most likely experienced the effectiveness of movie trailers. A well-crafted movie preview creates buzz and convinces you to buy a ticket. In the same way, a professional book trailer will help you engage your audience and generate more interest in your book. You’ll reach audiences you wouldn’t otherwise. Nowadays, much of the buying experience occurs online. Book trailers are easily shareable on social media sites like Facebook, Twitter, Tumblr, YouTube, and Google+, giving your book access to a potentially infinite audience! Your Goodreads author page is also a great place to feature your book trailer and generate buzz. And you can include a link to your video in a mailing to your email list as an innovative way to interact with your fans. Your potential readers will be enthralled! The decision of whether or not to purchase a book is made in mere seconds. A short, memorable book trailer featuring an intriguing teaser will wow potential buyers and get them excited about buying your book. Keep it short and sweet—60 to 75 seconds is best. Consider this: If a three-hour movie can be summed up in a two-minute movie preview, your book can be summed up in about a minute. Your book trailer should capture the spirit of your book and leave viewers wanting more: It shouldn’t recreate every plot point or mention every character. And you definitely don’t want to give away the ending! Professional quality. Don’t try to shoot a book trailer using your cellphone, because the poor quality will reflect badly on your book and may even turn readers away. Unless you’re a film editor by day, you’ll need professionals to help you decide whether to use a voice-over, music, or both; and to pick the best visuals to represent your story. Call to action! 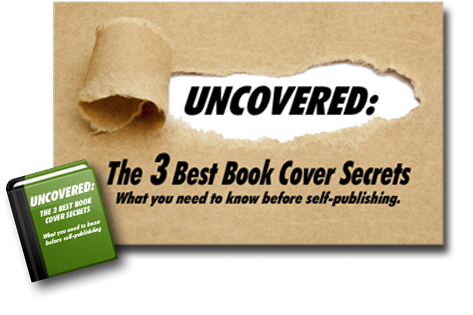 Be sure to include information about when your book will be available and where it can be purchased. Suits your budget. A book trailer doesn’t need to break the bank to get the job done. A well-made, affordable book trailer can be a very effective marketing tool. Self-Publishing Relief can create a professional, unique, and memorable book trailer for your book at prices starting at $900. You can see samples of our book trailers here. If you’re interested in learning more about book trailers, give us a call—we’ve been helping creative writers reach their publishing goals and build their writing careers for more than twenty-one years! QUESTION: Would your book’s trailer lend itself to a voice-over, music, or both? Your blog is persuasive. However, first things first. I believe that a mainstream publisher would invest in THE SUBVERSIVE DETECTIVE if given the opportunity. I still hold the hope that, with your help, I’ll find an agent willing to invest time and talent in promoting the book to publishers.